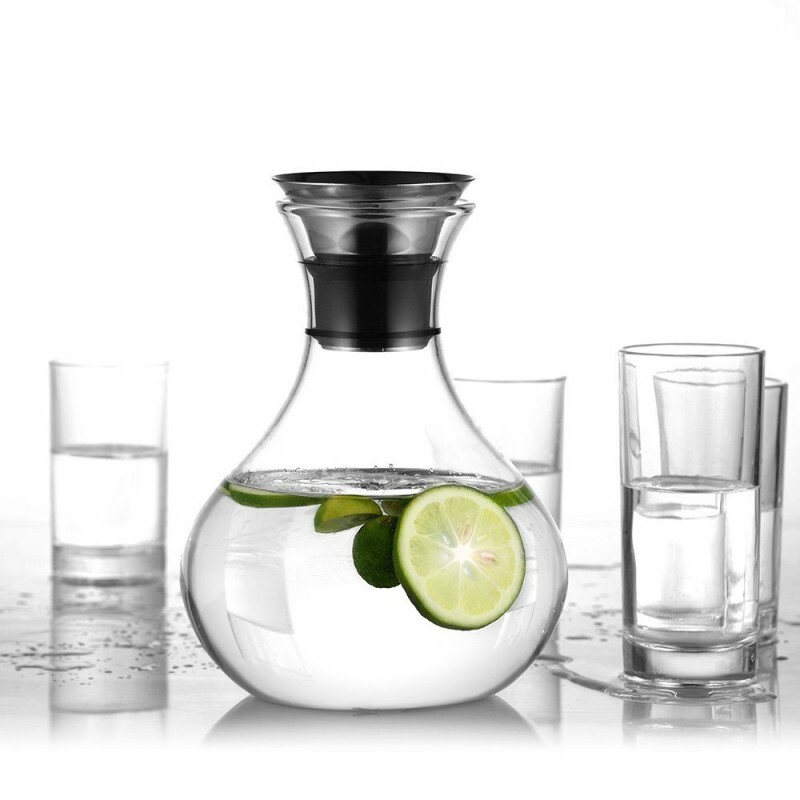 A carafe that makes pouring a lot easier. A narrow-neck design delivers a comfortable gripping to your hand. 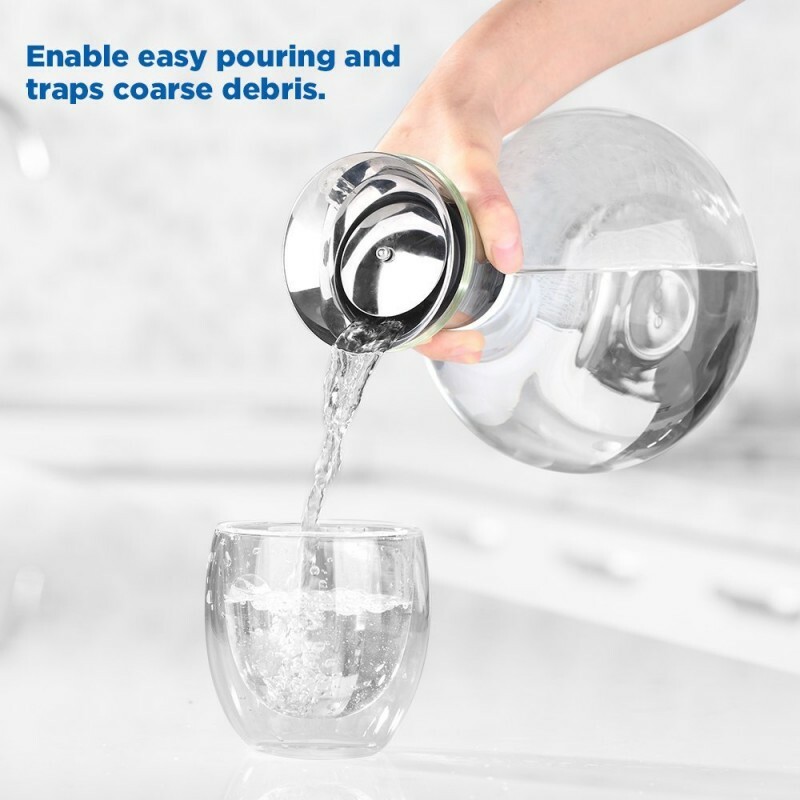 And the flexible lid opens automatically when you pour, making serving like a breeze. 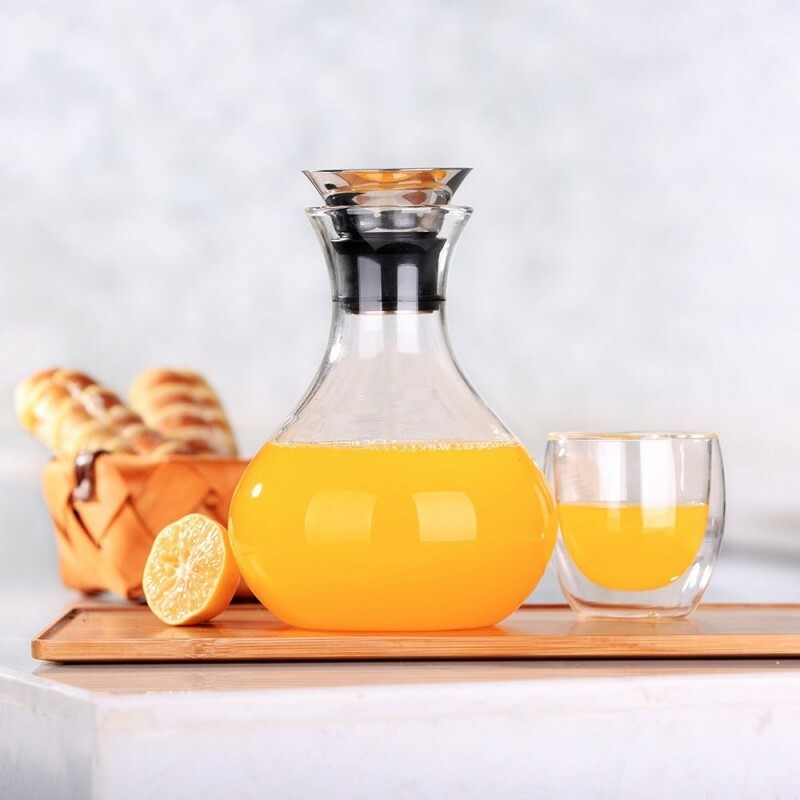 Adopting top-notch borosilicate glass, the carafe is stovetop friendly, and allows instant temperature change that you can fill boiling water into the frozen carafe instantly. Featured with a narrow neck and a round body, the carafe is designed to be as easy to use as it is beautiful to look at. It complements any decors, and makes a great decor itself. Looks much smaller in person than what I expected from the pictures. I'm returning it. Hope this helps someone else. This pitcher is beautiful, easy to hold round the neck and holds more liquid than one would expect. Perfect, quite light (not heavy) and easy to pour from, thank you. Excellent choice if you want to drink out of glass not plastic. Elegant looking, would make a good gift too. This product is beautiful and works as described. My only concern is that the silicone seem to fold up as you press the filter in. I'm worried that in time this may result in tears. But so far, so good! This was a beautiful pitcher that I got numerous compliments on. I purchased it to serve a holiday cocktail and at first I thought it looked a little small but it fit a whole bottle of wine plus the other ingredients and had room to spare. The fact the you could pour from any direction was an astray bonus. I'm not sure about the long term durability if the pourer but I'm keeping it away from the dishwasher and so far so good. Purchased 2. LOVE THEM. Easy to grasp; Pouring produces an even flow of liquid. MANY THANKS! 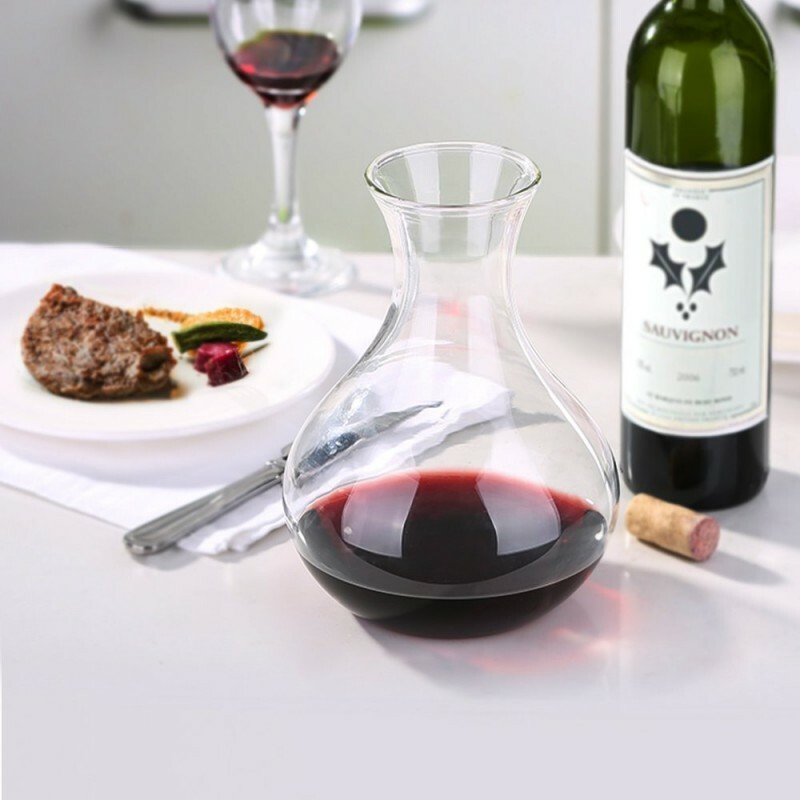 Nice carafe, adds a touch of elegance to your table. 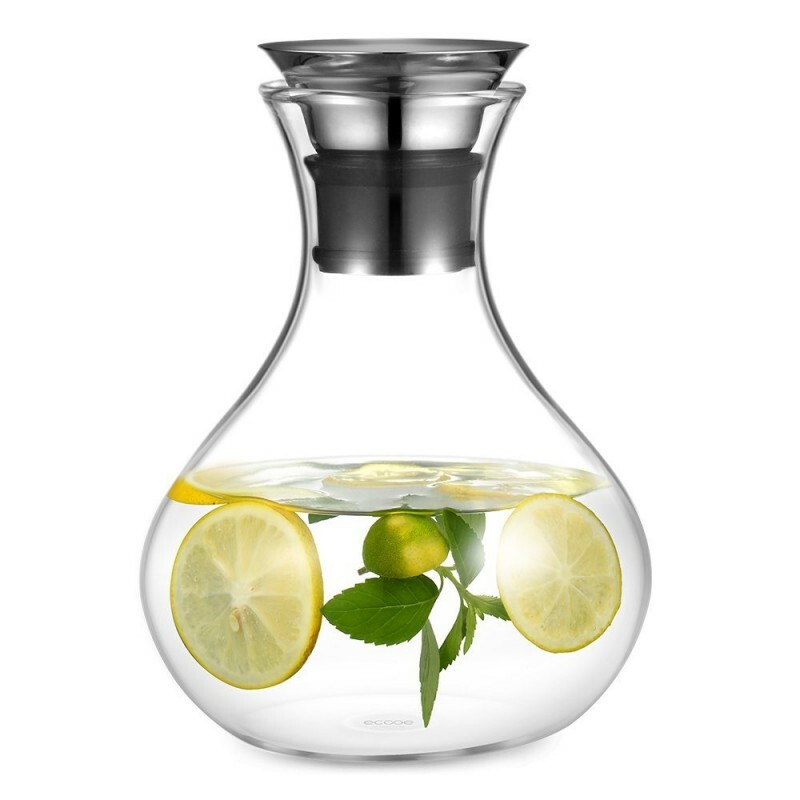 It is a nice simple glass water carafe. It can obviously resist high temperature water, so if you are not a fan of tap water, you can always boil water and store it inside the carafe and use it when in need. 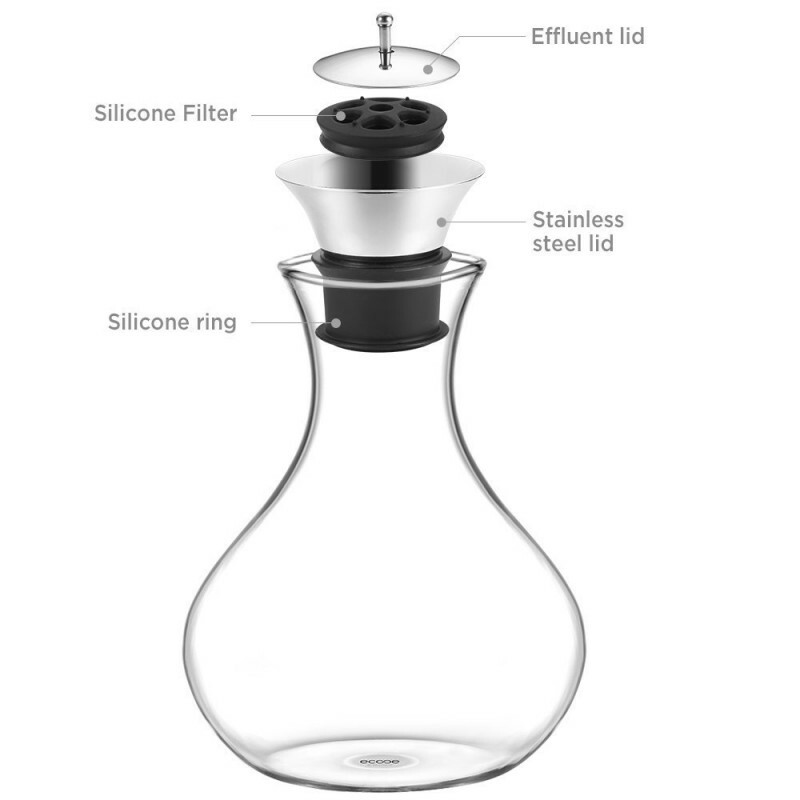 I think it totally live up to my expectation, so if you are looking for a similar carafe, this should be a good product. It is a beautiful design and very easy to handle. The top spout is cool because you can just pour it anyway you pick it up.